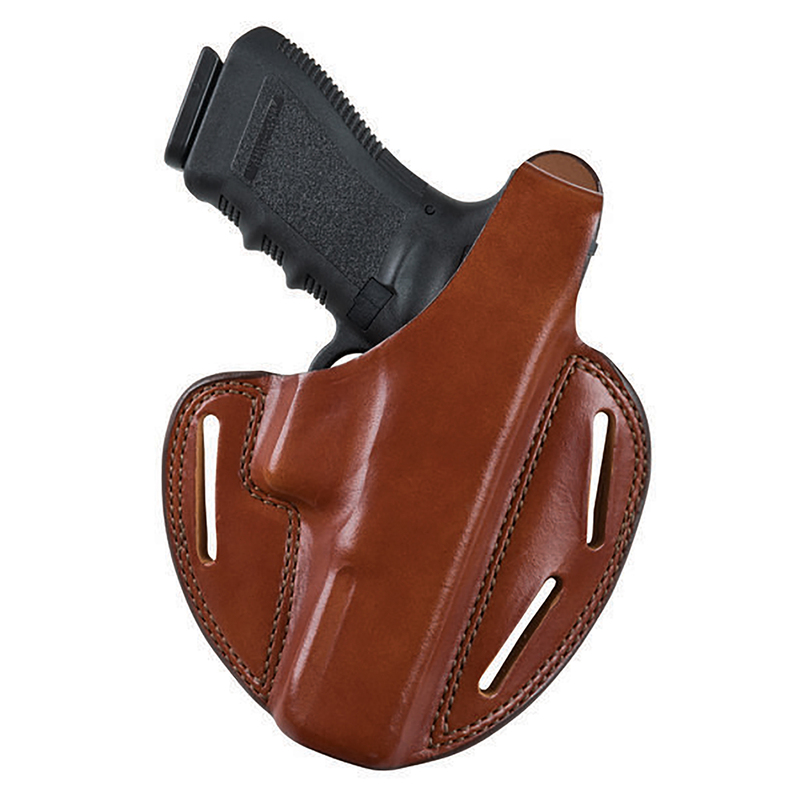 This 3-slot pancake style holster features a thumb snap closure, low-profile design and ultra-high ride for effective concealment. The 3-slot design allows for strongside or cross draw configuration. Full grain leather, it features an open muzzle and belt slots fit up to 1.75 in. (45 mm) belts.